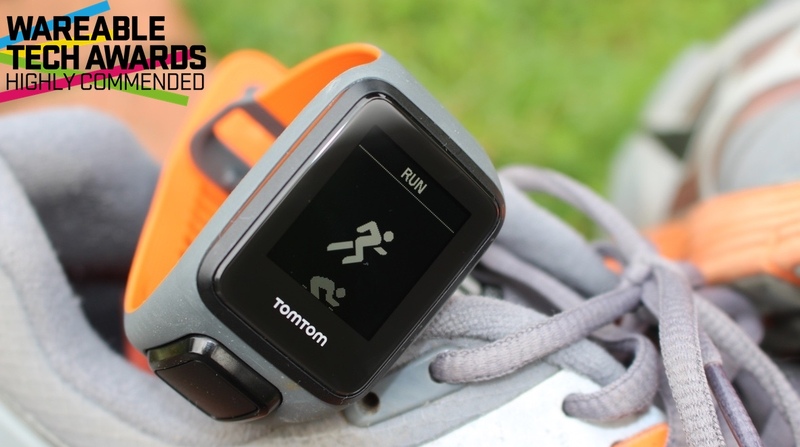 The TomTom Spark 3 is the successor to our current top running watch pick, the TomTom Spark. With the arrival of the Spark 3 (also known as the TomTom Runner 3), the company is sticking with the same formula while making some changes in the design and tracking departments. You still get GPS, multi-sport tracking (when you need a break from the running), 24/7 activity tracking and a heart rate sensor. Crucially, it's still the only dedicated GPS running watch that lets you stream music without your phone. But it's not just a meaningless update. TomTom has added route exploration for the first time, building in a compass sensor to make it easier to find your way home or discover a new running trail. While the Spark might not get the same attention as Garmin and Polar's running watches as a relative newcomer to this world, it's steadily becoming a serious rival. We've put the new Spark 3 through its paces to see if TomTom is evolving the Spark into the ultimate running watch. We won't dwell too much on what the Spark 3 looks like because there's not a lot to report if you're familiar with the first Spark. It still has the same removable watch module and screen with the optical heart-rate sensor built into the back. That does mean you can slip it easily into any other Spark straps you already own. It also uses the same charger, which we're not the greatest fans off, but it's not going to budge from that cradle when you need to power it up. TomTom has changed the strap though. The look is the same with a few colours thrown into the mix, but now the inner side of the strap is softer and more textured to help wick away sweat. If you're planning to wear it 24/7 for activity and sleep tracking, then that's a good thing. Having worn the Spark all day, we know that it can get quite sticky underneath the strap and there's been a noticeable difference on that front. You'll also get a less of a strap imprint on your wrist as well. The strap design tweak along with a few more colours to choose from still makes this every bit a sports watch, but it certainly feels a lot more svelte than what you can get from Garmin or Polar. It doesn't try to masquerade as something more stylish, and that's fine with us. For now. It's light, comfortable, still has a really intuitive user interface and is very easy to use. As far as tracking is concerned, it's more of the same. There are seven sports modes along with a stopwatch option offering the very same metrics as its predecessor. There's also activity and sleep tracking although it still feels very secondary to the whole experience and very easy to ignore. Press left on the big physical button and you can see a daily or weekly breakdown of steps, calories, distance covered and active minutes. Data is in the same ballpark as the Jawbone UP3 we've worn alongside it for the past few weeks. But as we've said, it still feels very much of an afterthought. In terms of sports tracking, we focused our attention on outdoor running, but also put treadmill running, swimming and gym modes through their paces as well. For running, it's still a fantastic performer. From the training modes to the quick GPS signal pick-up, it still impresses. That GPS pick-up on average takes about a minute to a minute and half on average, and while it's not as rapid as most Garmin running watches, it was quicker than the Polar V800. Crucially, it's still just very easy to set up and get out running. If there's one slight niggle we still have, it's that inability to view a workout summary without having to jump into tracking mode again. It's worse still if the battery is low and you're only using it in watch mode and can't check in on your last run. There are notable improvements for treadmill run tracking, something that wasn't all that great on the first Spark. It's still accelerometer based but on the few runs we put it to the test, it's a lot more consistent with tracking distance covered on the treadmill. It makes a great swimming companion too, once you correctly configure the pool size. The original Spark won silver in our big swim tracking test, and it's more of the same from the Spark 3. The main reason you'd consider upgrading from the Spark to the Spark 3 is the new route exploration feature. This basically means you can now go out on a big run and the route will be mapped out on the watch screen, helping you navigate your way home a little easier. You can now add routes to the watch as well, which is handy if you want to run an approximate distance or just freshen up your running routes. It's a feature that usually crops up on more expensive sports watches, so it's definitely a positive to see it appear on the Spark 3. The reason you can do this on the Spark 3 is because TomTom has now included a compass, which means unfortunately you're not going to see this feature crop up on the older Spark. If you just want to get out running and view your route, you'll need to calibrate the compass first, which is done in the sensors section inside the watch settings. It requires rotating the module in different directions, and we'd suggest taking the module out of the strap to do this as it didn't calibrate when we left it in. Then you can start tracking a run as normal and you'll now be able to skip to a screen where you can an overview screen and a zoomed-in screen to view your route. After a few runs and doing my best to get lost, it did get me back to my starting point. The more interesting application is the ability to upload routes. TomTom supports the ability to upload GPX files, the most common GPS data file format. To get one uploaded to the Spark 3, a quick Google search will quickly find you what you need, but a good place to start is MapMyRun. Here you can easily create routes or search routes and download them to your computer. Then you'll need to upload them through the TomTom MySport web app. It's a pretty painless process and then you're good to go exploring. When you start to track a run, you can now select a trail. It's as easy as that and it's worked perfectly fine for us on the few runs we've tried it with. According to TomTom, you're not required to calibrate the compass before activity but the Spark 3 will offer to calibrate if it considers it's needed. You can still calibrate whenever you wish as well. Will it be enough to convince Spark owners to upgrade? That really depends on how much you value the option to mix up your running routes. We certainly enjoyed having it and it'd definitely come in handy taking the watch abroad or into unknown territory. We think it's a great addition, and it works well. Optical heart rate sensors get a rough ride (especially from us) and we think rightfully so. We've seen a handful of devices that provide accurate date. An exception to that rule was the TomTom Spark. Since the company moved from using the same technology used in the Mio Alpha 2 and Fuse, it's proved to us that optical heart rate tracking can be good. Thankfully it's more of the same with the Spark 3. Heart rate data is recorded as you're tracking but you can also take part in heart rate zone based training, letting you work in Sprint, Speed, Endure, Fat Burn, Easy or Custom zones. It's a nice addition to the overall setup, but crucially, accuracy is still great. We put it up against a Polar H7 heart rate monitor chest strap for several runs and the sample below of the data compared to the H7 paired with Runkeeper shows it's still a reliable monitor. Mixing things up with some high intensity training yields similarly good results. The Spark 3, like the original Spark, houses one of the best optical heart rate monitors we've tested. It's not 100% perfect. You will see the odd outage, perhaps twice in a two hour run, but this is absolutely a problem with chest straps as well. What you get with Spark 3 is a responsive and relatively lag-free experience that means you can effectively and reliably manipulate your heart rate to the right zone during your training – and that's what it's there for. The ability to stream music from your watch without your phone continues to be a feature that gets overlooked by the likes of Garmin and Polar (although that has been remedied with the new Polar M600 Android Wear running watch). The Apple Watch Series 2 and Android Wear watches let you do it, but nobody has really nailed the concept on a GPS running watch yet. TomTom introduced the feature with the first Spark and not a whole lot has changed, which is both good and bad. There's still 3GB of storage but you are still strewn to uploading iTunes playlists to the watch via TomTom MySports Connect (Mac or PC). It's a little more slick now, scanning available playlists on your computer, but we wish there was an easier and less fiddly way to cram your tunes onto the Spark 3. Once the tracks are on, you'll need to pair some Bluetooth headphones to the watch. But again, it's seamless sometimes and at other times not. I've tried numerous pairs of wireless sports headphones including TomTom's new ones, and I've had mixed results trying to get them to connect. Getting non-TomTom headphones to connect still requires a bit of a knack. When it does work, you can simply select playlists from within the settings menu on the watch, but you still can't select individual tracks. The key takeaway is that running with music without carrying your smartphone along for the ride is awesome. We relish the freedom every time we hit the roads for our training runs, and along with the top heart rate performance, is why we recommend the TomTom Spark again and again. But there's still definitely some work to be done to make music support more seamless – and our dream of a Spotify enabled running watch is yet to be realised. Another area that is desperate from some improvement is when it's time to review your data. There's still a MySport web app, which offers the same data as the smartphone app along with a couple of extras. You can drill into all of your activities to see aspects like splits, heart rate graphs, mapped running routes and details on pace and stride rate. The web app is also the place where you can upload trails to the watch. You can't do this on the mobile app. You can also upload a collection of races like nailing a 10k in 50 minutes or running 26 minute 5ks. The overall experience is a lot more streamlined than Garmin Connect or what you get in Polar Flow. Our issue here is the clunky presentation of data. The good news is that you can still pull your data into third party apps including Strava, Runkeeper and MapMyRun so that's TomTom's saving grace. But we were hoping for more on the app front in the future. If you're hoping the Spark can step up and entirely replace a smartwatch, sadly you're out of luck. There's no notification support here, which was promised with the original Spark. Hopefully it's just a software update away from making it a reality, but don't hold your breath. TomTom promised up to 11 hours battery life in tracking mode on the last Spark and with the Spark 3, you can expect to get a similar performance. It's well equipped for a long marathon and running an hour or so a day for an entire week. That performance really depends on how many of those sensors you keep turned on though, like the heart rate sensor, which is an obvious drain on battery. It'll comfortably get you through a week, but when you compare it to what you can get from a similarly priced Garmin or a Polar watch, it still lacking a little in the stamina department in tracking and standby modes.